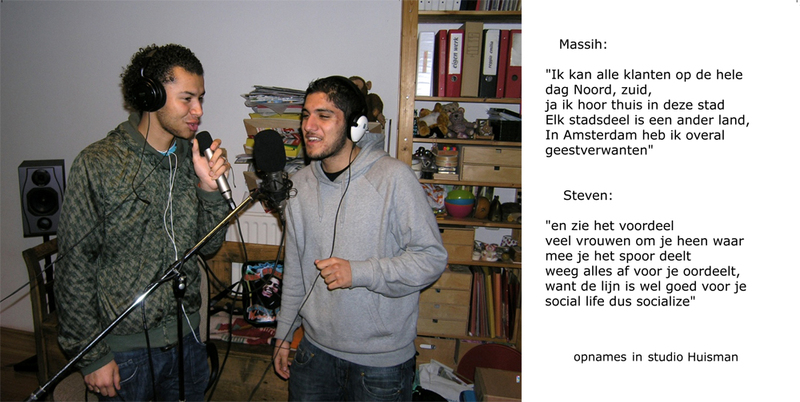 2008 – 2009 I realized the Oracle Rap project together with two young rappers from Amsterdam North district: Massih Hutak and Steven Seetje, both students of the hip hop school “Solid Ground Movement” in Amsterdam. 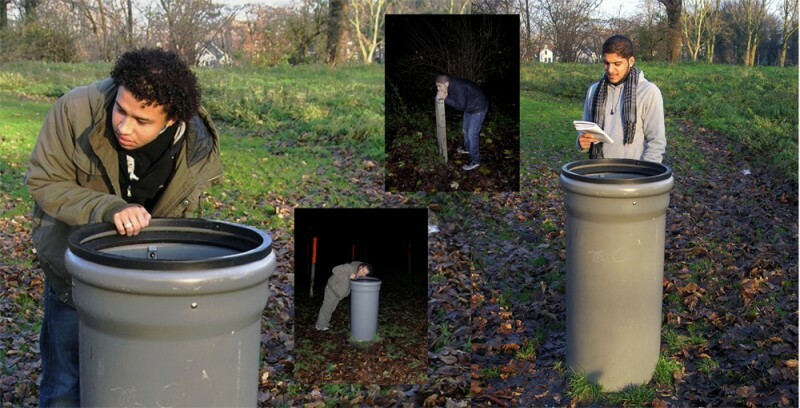 It started with a workshop in the Noorderparkkamer (link) about the different (historical) approaches of soundscapes including the musical and ecological aspects and how to combine soundscapes with their own hip hop rhythms and lyrics. After recording more sounds of the Amsterdam subway I created a soundscape of a underground subway station with rhythmic subway sounds based on a hip hop rhythm. Massih and Steve brought their own created rhythm to combine with recorded sounds of the park. 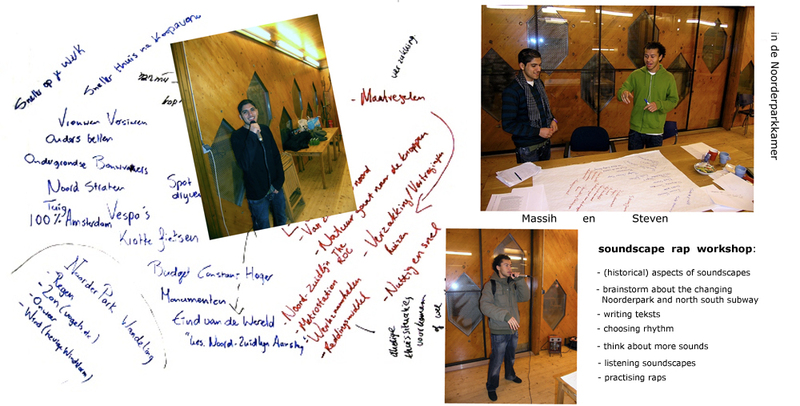 During a brainstorm session they sharpened their ideas about the coming North South metro line and the Noorderpark resulting in new rap lyrics. 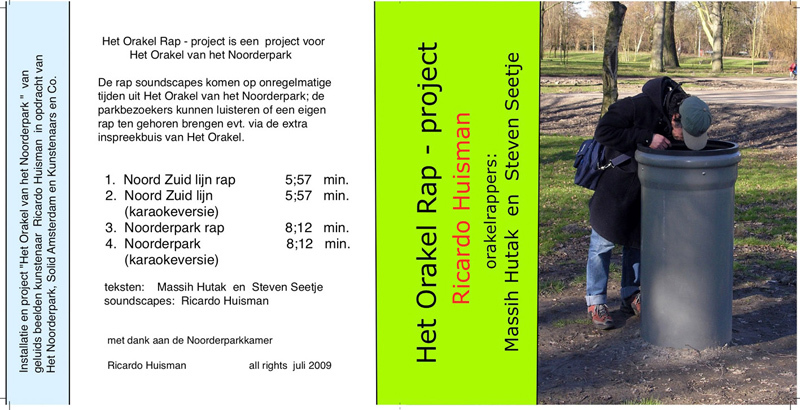 After practising and recording in my home studio it resulted in two Oracle rap compositions: “the North South line rap” and “the Noorderpark rap” including karaoke versions to give the listeners of the Oracle in the park the possibility to create and perform their own rap version.